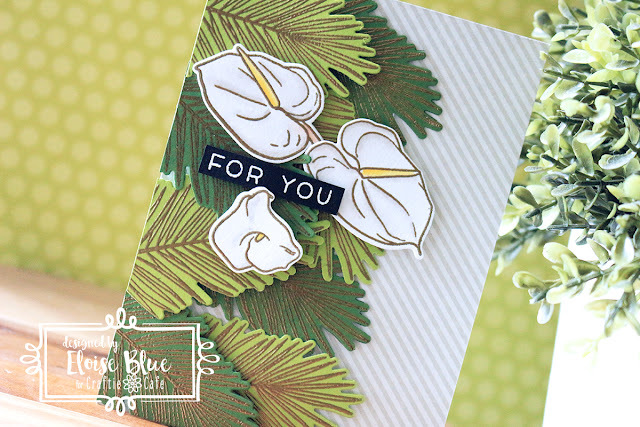 Hi everyone, today I'm here for Craftie Cafe and I’ll be using the Modern Calla Lillies set from WPlus9 along with Simply Sentiments from Lawn Fawn for the sentiment to create a simple For You card. To begin my card today, I started off with stamping out the leaves from the Lillies set onto some Noble Fir and Cilantro Cardstock from Lawn Fawn with Versamark Ink. I then gold heat embossed them all. Next I stamped out three of the Lily images from the set onto some watercolour cardstock, and coloured those in using some Zig Clean Colour Real Brush Markers. Once they were coloured I cut all my images out using the coordinating dies. Next I took a grey striped piece of patterned paper and cut it down to the size of my card base. I then adhered all my leaves onto one side of the paper using flat and dimensional adhesive. For my sentiment, I took the Simply Sentiments from Lawn Fawn and white heat embossed the ‘For You’ sentiment onto a strip of black cardstock. I adhered that onto the top left hand side of my card base. Then, I adhered my lillies around the sentiment to finish off my card. 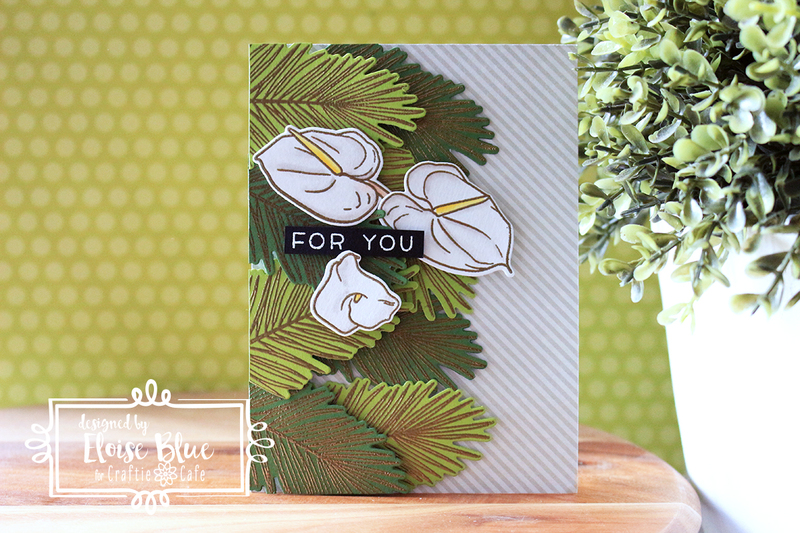 Thanks so much for stopping by today and check back next week for another project using the Modern Calla Lillies stamp set.